A male swing rap duo consisting of YoYo (Lyrics, Music, and Sound Production) and GooF (Lyrics). In July 2002, released an EP. In March 2003, released major debut album “Kimi ga Irunara☆”. In August 2003, released 1st album “Carnival”. In August 2004, released 2nd album “SWINGIN’ BROTHERS” which featured elements of jazz, classical music, rock and other various musical genres. Going back and forth between singing and rapping, the album featured a unique high-quality sound. In 2004, performed chorus as guest in Ken Hirai’s album “SENTIMENTAL Lovers”. Wrote lyrics for the song “believin’”, featured on CHEMISTRY’s November 2005 album “fo(u)r”, and provided the song “Hoshizora no Shitade” to SMAP for their July 2006 album “Pop Up! SMAP”. 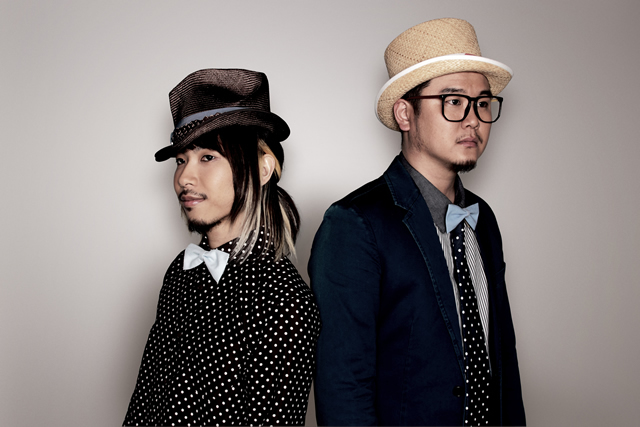 In August 2006, released their first single “everlasting one” from rhythm zone. The song became famous for being co-produced by Fantastic Plastic Machine and became a radio hit, marking 1st place on the weekly OA chart. In January 2007, released the 3rd album “Kokoro Film Note”, the first album release in 2 and half years. The album featured the likes of Sukima Switch, Fantastic Plastic Machine, Chikuzen Sato, Makoto Ozone, No Name Horses, and GAGLE as guests. On February 27, 2008, released the 5th anniversary album “NEW STANDARDS”, which featured azumi (wyolica), DEPAPEPE, Full Of Harmony, GAKU-MC, Emi Hinouchi, KURO from HOME MADE KAZOKU, MONGOL800, SEAMO, so-to (wyolica), Spinna B-ILL, Sunaga t experience (Tatsuo Sunaga), and [A→Z] as guests. At live performances, they show off their versatility by performing in various forms from DJ style, acoustic style, band style, and with themselves rapping and playing instruments. In the end of 2007, they created “Tokyo Junkastic Band”, SOFFet’s official back band, which added a sense of raw music in their performances.